Teen apprentice killed in scaffold collapse at Macquarie Park. Teen apprenctice, 18, killed in scaffold collapse & more in News in 5. 1. “Chaotic, emotionally charged scene.” Teen apprentice dies in Sydney scaffolding collapse. An 18-year-old apprentice has been crushed to death while a workmate suffered critical injuries after scaffolding collapsed at a construction site in Sydney. Formworker Christopher Cassaniti, who initially couldn’t be accessed by paramedics, was pronounced dead a few hours after the temporary structure fell at the Macquarie Park building site about 12.20pm on Monday, police say. 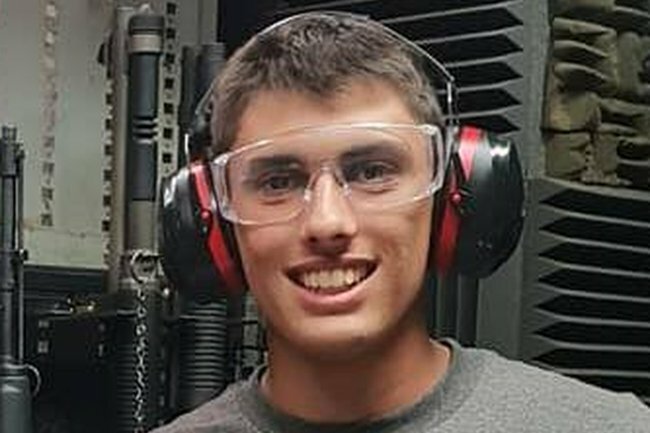 When Mr Cassaniti turned 18 last week, his mother Patrizia sung the praises of her “compassionate and shy, yet strong and forever helpful” son. “We wish you all the best that the world can dish out and May God be forever in your heart and bless you with much joy, happiness and most importantly health,” she posted to Facebook. His friends posted tributes to Facebook on Monday. “You have been my friend since the first day of kindergarten .. words can’t express how much this hurts,” Bella Mineo said. His older workmate with lower body injuries was freed by Fire and Rescue NSW workers and taken in a critical condition to Royal North Shore Hospital. Nine News reports he is now in a stable condition. Tonnes of steel, concrete and meshing were strewn over the site of the Lachlan’s Line apartment complex after the 15-to-17-metre scaffolding tower collapsed. “The first (paramedics) to arrive at the scene found an absolute chaotic, emotionally charged scene,” NSW Ambulance Acting Superintendent Steve Vaughan told reporters on Monday. Site worker Te Wihongi said he could hear the men yelling for help. “We just tried our hardest to get all the scaffolding and bricks off them,” he told Seven News. “Such tragedy should not occur. We will update members as more is known,” CFMEU construction and general secretary Darren Greenfield said in a Facebook post. SafeWork NSW said it was unsure what caused the collapse and expected its investigation to take some time. Construction company Ganellen said it was arranging support for workers on site at the time of the collapse. “This is a tragic incident and our deepest sympathies go to the young man’s family, co-workers and friends,” a spokesman said in a statement. NSW Police are also investigating the man’s death. 2. NZ parliament to fast-track gun law debate. Stricter gun laws promised after the Christchurch mosque shootings will be debated this week. Image: Getty. Stricter gun laws promised after the Christchurch mosque shootings will be urgently debated by New Zealand lawmakers this week. A ban on military style semi-automatic (MSSA) rifles and a raft of other changes pledged following the March 15 terror attack have been officially introduced to parliament and will be rushed through a first reading on Tuesday, the government says. The bill also creates a new series of gun-related criminal offences, some punishable with up to 10 years&apos; jail, and gives owners of weapons now deemed illegal until the end of September to hand them over to police. Deputy Prime Minister Winston Peters told reporters on Monday the government aimed to enshrine the changes in law by April 12. "You cannot be a serious New Zealander, without having a shared regret that we have not worked in prior times much faster on this issue," he said. The laws are expected to go through a truncated consultation process before passing final readings next week. Most legislation introduced in New Zealand is debated and consulted on for at least half a year, although passing laws in urgent sittings is not uncommon. The specific changes include bans on MSSA firearms, any parts, magazines or ammo that can covert other guns to MSSAs, and pump-action shotguns that can carry more than five cartridges. But .22 calibre semi-automatics and small-capacity shotguns have been exempted from the new rules. The laws look likely to receive near-unanimous support in parliament, with the conservative opposition National Party giving its backing and even the farming lobby group Federated Farmers not opposing a tightening of rules. The lone political hold-out so far has been the leader and sole MP for the libertarian Act party, David Seymour, who has raised concerns the bill is being pushed through too fast. 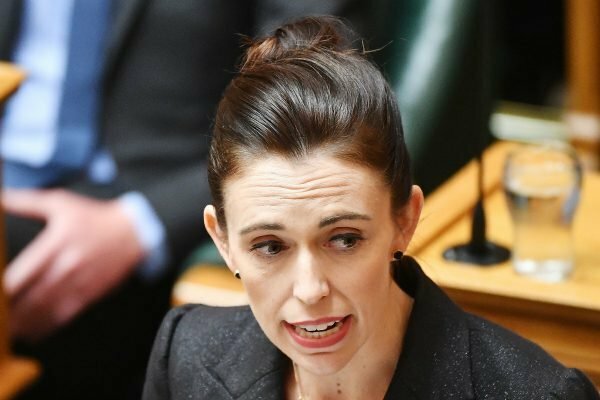 Six days after the terror attack, Prime Minister Jacinda Ardern announced an immediate ban on the sale of the high-powered rifles to prevent panic buying and stockpiling, along with plans to permanently restrict the weapons. The 28-year-old Australian man arrested over the attack is thought to have used two of the rifles, legally bought but then modified, along with three other weapons. New Zealand&apos;s government is still mulling the details of a planned buyback scheme, which will have an estimated cost of up to $NZ200 million ($A192 million). About 200 people had already voluntarily turned their weapons in to police before Monday&apos;s announcement, officials say. There is currently no figure for how many of the weapons are in circulation as New Zealand does not maintain a register for firearms, although one is now also being considered as part of a second stage of promised law changes. But there are an estimated 1.5 million firearms in the country - roughly one for every three citizens and more than double the rate in Australia. Under the old rules, pest control was legally considered a reason to own a military-style semi-automatic weapon. The last significant changes to New Zealand gun laws were made in 1992, following a shooting in the seaside, South Island town of Aramoana that killed 13, with several attempts at reform failing since. 3. Garbage truck driver cleared after running over Sydney homeless man. 4. Tasmanian teachers to strike after rejecting the Liberal government&apos;s pay offer. Tasmania&apos;s public sector teachers have rejected a state government pay offer on the eve of two days of industrial action that will force some schools to close early. The Australian Education Union&apos;s Tasmania branch on Monday rejected the Liberal government&apos;s pay offer of seven per cent over three years. "Teachers are not willing to lock-in three years of under-funding and under-resourcing for our kids," branch president Helen Richardson said. Before the union announced its decision, the state government on Monday accused the AEU of not acting in good faith over the planned strikes. "For AEU bosses to hold a meeting at 4pm today to discuss whether to call off the strike action is simply ridiculous," Minister for Education and Training Jeremy Rockliff said. "They have had all weekend to call off the strike action." Mr Rockliff said the union should have conducted a full ballot of teachers and cancelled industrial action while members consider the government&apos;s offer. But the union says the government could have avoided this week&apos;s strike by considering a counter-offer following the rejection of a previous pay offer two weeks ago. The latest pay offer is 0.25 per cent higher than the previous offer. "We call on the premier to put quality education ahead of his political game playing which is causing unnecessary disruption and uncertainty for parents," Ms Richardson said. School stop-work meetings will go ahead as planned in Burnie on Tuesday and in Launceston and Hobart on Wednesday. The government has published a list of schools that will be forced to open late or close early. The government and public sector unions have been at loggerheads for the best part of a year over pay and conditions. 5. Trial for police officer who shot Australian woman is about to begin. Justine was fatally shot by a police officer. Image: LinkedIn. 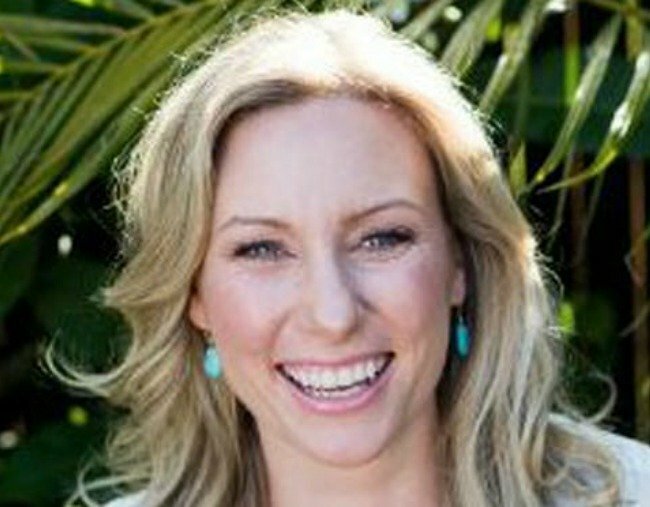 Jury selection has begun in the trial of a former Minneapolis police officer who fatally shot an unarmed Australian woman after she called 911 to report a possible sexual assault behind her home. Mohamed Noor, 33, is charged in the July 2017 death of Justine Ruszczyk Damond in a case that drew international attention, cost the police chief her job and forced major revisions to the Police Department&apos;s policy on body cameras. Prosecutors charged Noor with second-degree intentional murder, third-degree murder and second-degree manslaughter, saying there is no evidence Noor faced a threat that justified deadly force. They must prove he acted unreasonably when he shot Ms Damond, a 40-year-old life coach with both US and Australian citizenship who was engaged to be married. Noor&apos;s lawyers plan to argue that he used reasonable force and acted in self-defence. Noor has refused to talk to investigators and his lawyers haven&apos;t said whether he will testify at his trial, which could last weeks. He did not respond to reporters&apos; questions Monday as he and his lawyers arrived at the Hennepin County courthouse for the start of jury selection. Potential jurors were expected to fill out forms in a half-day session. Noor&apos;s partner that night, Officer Matthew Harrity, told investigators he was driving a police SUV when he heard a voice and a thump and caught a glimpse of someone outside his window. Harrity said he was startled and thought his life was in danger. He said he then heard a noise and turned to see that Noor, in the passenger seat, had fired his gun past Harrity and hit Ms Damond through the driver&apos;s side window. The lack of video was widely criticised, and Ms Damond&apos;s family called for changes, including when officers are required to turn on their cameras. Days later, the Police Department strengthened its policy to require that the cameras be activated immediately when responding to a call or making a traffic stop. The shooting also raised questions about the training of Noor, a Somali American whose arrival on the force about two years earlier had been celebrated by city leaders and Minnesota&apos;s large Somali community. Noor had previously worked in property management. Documents later filed as part of the criminal case showed that training officers voiced concerns about Noor&apos;s fitness for duty long before he shot Ms Damond, but he was deemed fit to serve. Judge Kathryn Quaintance ruled that prosecutors cannot present evidence about prior "bad acts" as a police officer. She also said Noor&apos;s pre-employment psychological exam, which found that Noor was more likely than other officers to be impatient or have difficulty confronting people, cannot be used unless he testifies and it becomes relevant. She also ruled his refusal to speak to investigators can&apos;t be used as evidence unless Noor takes the stand.